Hoffman Triangle is located in the Central City neighborhood of New Orleans. It is bounded by South Claiborne Avenue to the South, Toledo Street and Washington Avenue to the West and Martin Luther King Jr. Boulevard to the East. It is a neighborhood that continues to evolve and significantly grow after the Hurricane Katrina in 2005. In order to support the work that the Neighborhood Development Foundation, Associated Neighborhood Development and the Hoffman Triangle Neighborhood Association are doing to improve the quality of life of all existing and future residents, WhoData.org and the University of New Orleans – Department of Planning & Urban Studies (UNO PLUS) have committed to providing geographic information systems (GIS) services and support to aid in this revitalization effort. The model for working is grounded in public participation geographic information systems (PPGIS). 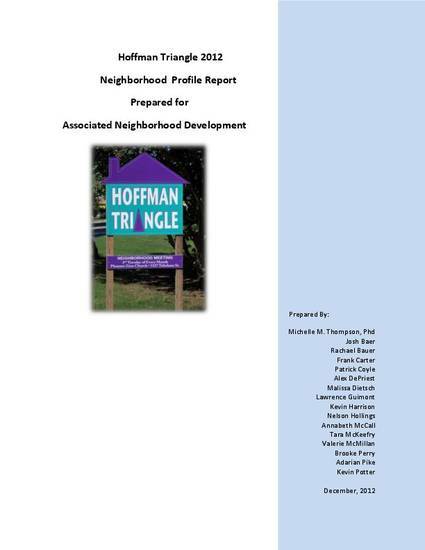 The Hoffman Triangle PPGIS project is an example of how the Community, the City and the University can work together to monitor, evaluate and influence neighborhood change “from the ground up”.